In the movie "Field of Dreams", actor Kevin Costner is told "if you build it (baseball field), they (baseball players) will come". He did, and, they did. If only it was that easy with websites; if you build it, people will visit your site. Not so. 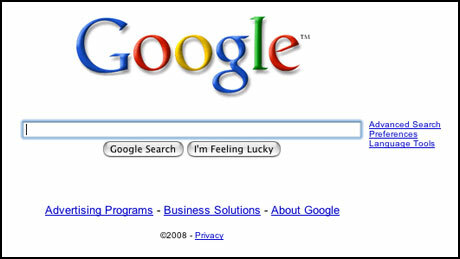 At one point, a few years ago, Google had indexed over 6,000,000,000 (that's billion) web pages. They have since stop reporting publically how many pages are in their index, but it is substantial. What this means is that the competition for the top spots in Google, Yahoo and MSN have increased as well. Take something semi-obscure, like "myrtle beach astronomy". Google reports approximately 138,000 results for that search phrase. Without knowledge of search engines and/or help from an expert, your website, if it were about astronomy in myrtle beach, might land in the Top 10%. That would mean you'd be in the first 13,800 results. Okay, let's say you were really, really fortunate, and you landed in the Top 1%...that'd be the first 1,380 results. Oh...so you think you'd be amongst the ultra-fortunate and your site would be selected to be in the Top one-tenth of one percent, huh? Okay, so that puts you on the bottom of page 14. How many times have you used a search engine and trudged your way through to page 14 of the results? In a nutshell, your site is not going to show up on Page 1 or Page 2 in the major search engines without help from a search engine optimization firm. Period. It takes a lot of skill to do the work, and it is time consuming. And while it isn't all that expensive considering what the results will bring (traffic, traffic and traffic), it's not cheap either. FREE Website Report Card: Click here to see your website's grade!